At CrossFit Sandpoint, our mission is to be the catalyst you need for your physical and mental evolution. We are the resource for you to reach your highest potential. 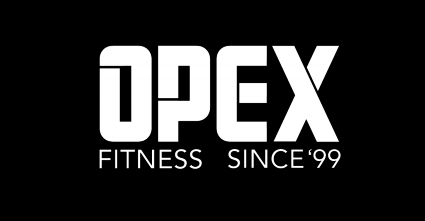 Whether you are looking to develop your athletic ability for a sport, excel at CrossFit, develop your functional capabilities while losing fat and gaining strength, or just experience the best workouts of your life with an incredible group of people that you’ll come to love as family, we are your support team. We have a variety of assets at the ready to help you achieve your success. Depending on your goals and interests, we have group classes, private sessions and individualized programs that are designed to meet you where you are and get you where you want to go. Our group of coaches is highly trained and has experience with clients ranging from professional athletes to those who have never ever worked out in their lives and have demonstrated consistent success with those groups and everyone in between. I tend to learn a lot of lessons from watching our 4 year old son Garrison. I firmly believe that even though we like to think of ourselves as experienced, mature, intelligent adults who have way more figured out than our kids, for the most part we’re pathetically similar. Take an experience we had at a birthday party the other day. I’m sure this will be familiar to other parents out there. The vast majority of people I talk to about their fitness habits admit that they go to the gym, but they have absolutely no idea what to do when they’re there. They spend some time on the treadmill, lift a few weights and basically log their 45 minutes and go home. Ahhh, the season is upon us. The season of cookies in the breakroom, chocolates randomly appearing on your desk, social functions with cheese boards and cocktails, it’s the holidays. Do you find yourself slipping through November and then completely falling off the wagon in December? Do you start January 10 lbs heavier and regret the decision you made to let it all go? This year, what about having a plan? I’m not saying forgo every cookie at the holiday party while you munch on raw celery in the corner. But, what about approaching this season with balance? Here’s what I know, moderation works. November and December are probably not the times to start a hard-core eating regime, but there are ways to mitigate the damage. One of the things that makes me cringe the most in the gym is when people tell me that something hurt for the whole workout, or has been hurting for weeks and that they’re just assuming it will get better. Steelhead are Rainbow Trout that are born in a river, migrate out to the ocean from thousands of miles away, swim back up the same river, then back out to the ocean and return. They continue this process until they die from the exhaustion of spawning, are killed or caught. Catching a steelhead can feel damn near impossible. They call them the fish of a thousand casts. Between raising 4 beautiful children, continuing my education and working I was looking to take on another goal! I wanted to get in better shape! I wanted something more in my workouts that would physically push me harder. Every day at the gym is an opportunity for a new favorite memory for me. Sometimes it doesn’t happen and I have a bad day at the gym, but bad days just make the good days that much better. You and I aren’t all that different than dogs. Depending on your position on our fur covered best friends, that may have been offensive. Sorry if so, but hear me out. 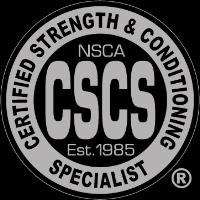 Local high school, middle school and recreational teams have benefitted tremendously from our offseason Strength and Conditioning programs. We offer programs designed for teams and the sports they play. These can be run for specific sessions or for months at a time. We also periodically run Summer sessions for middle and high school athletes.